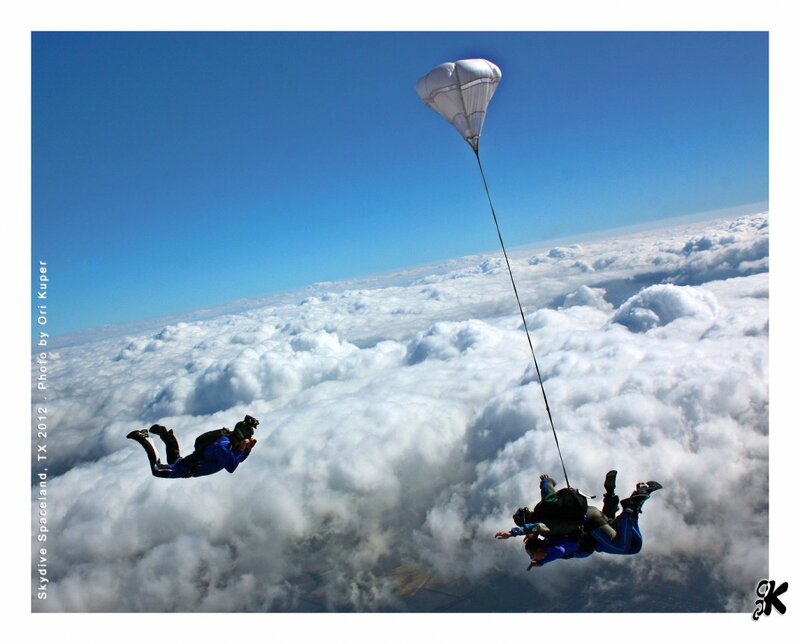 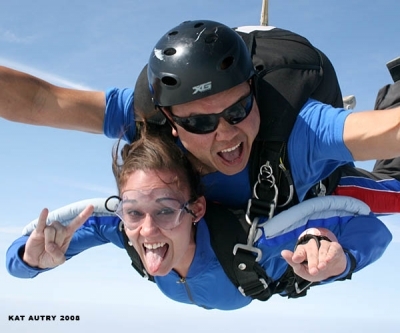 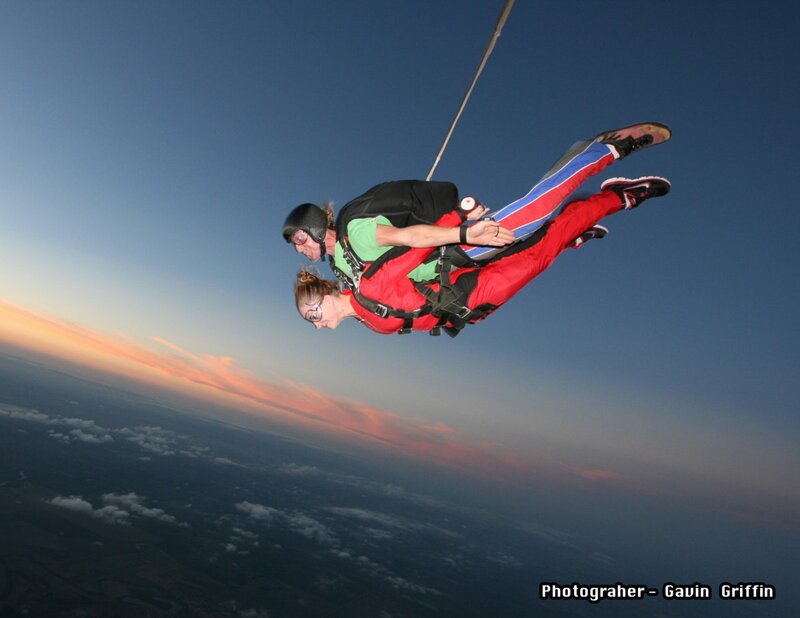 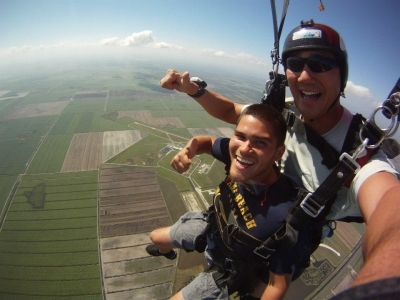 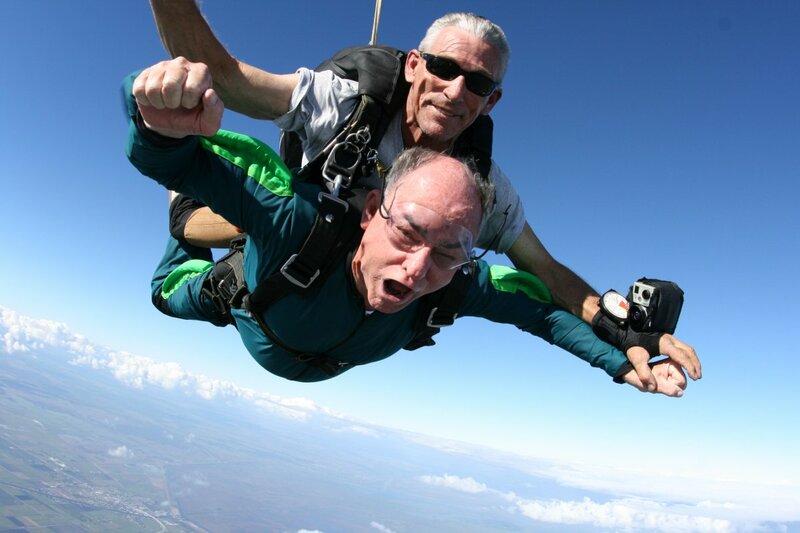 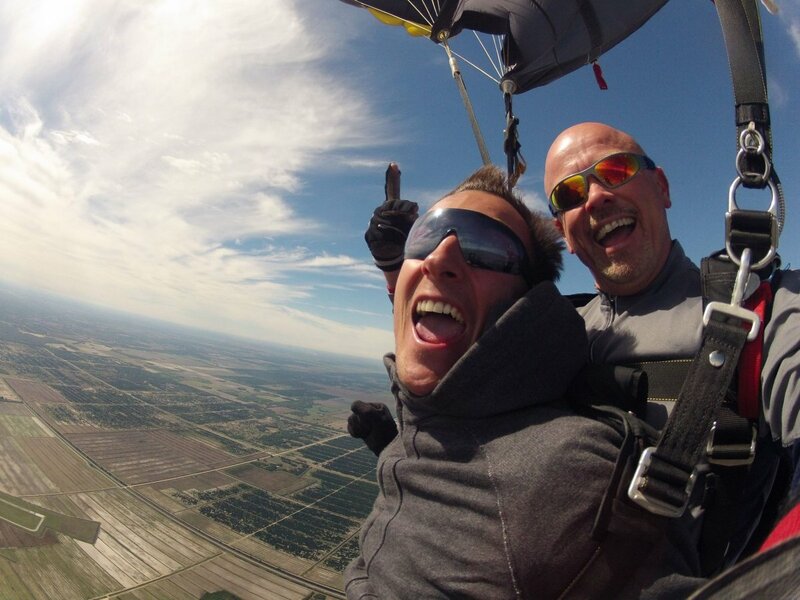 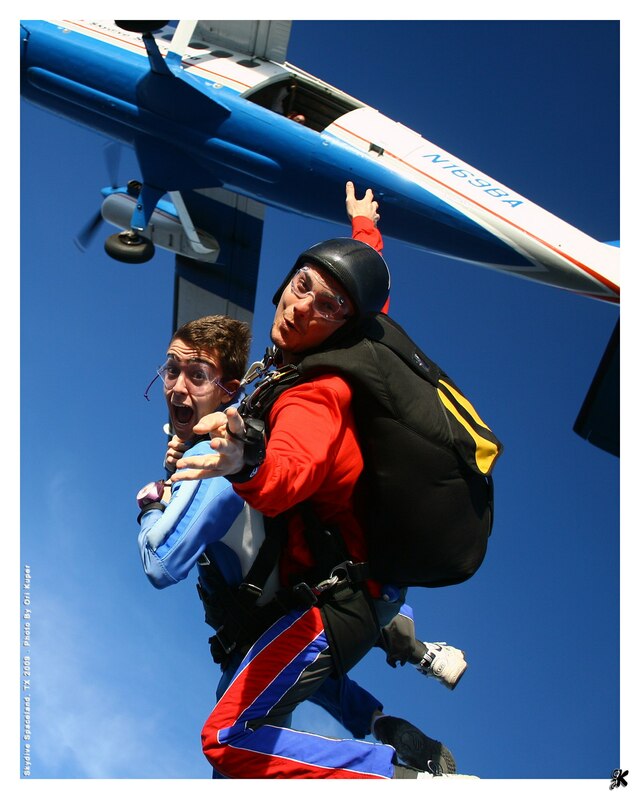 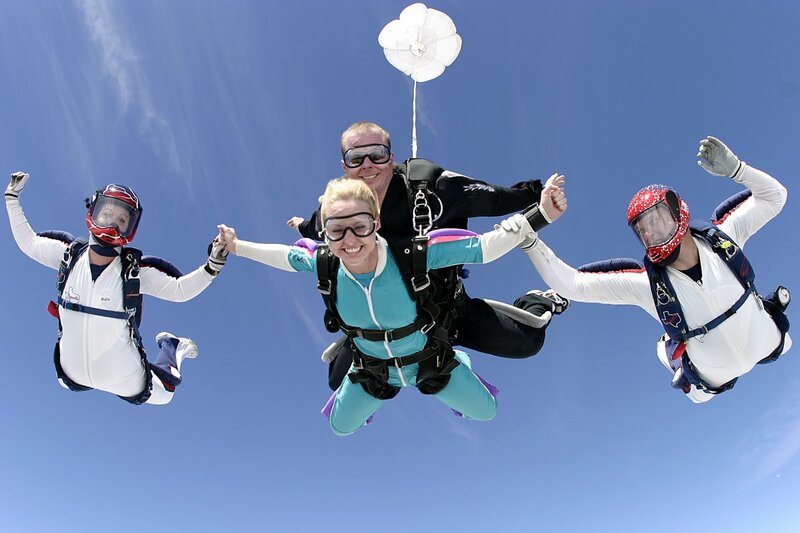 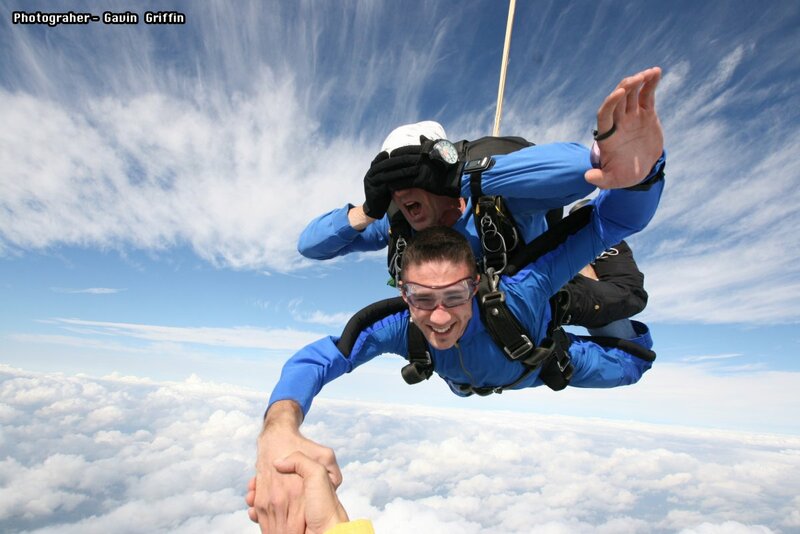 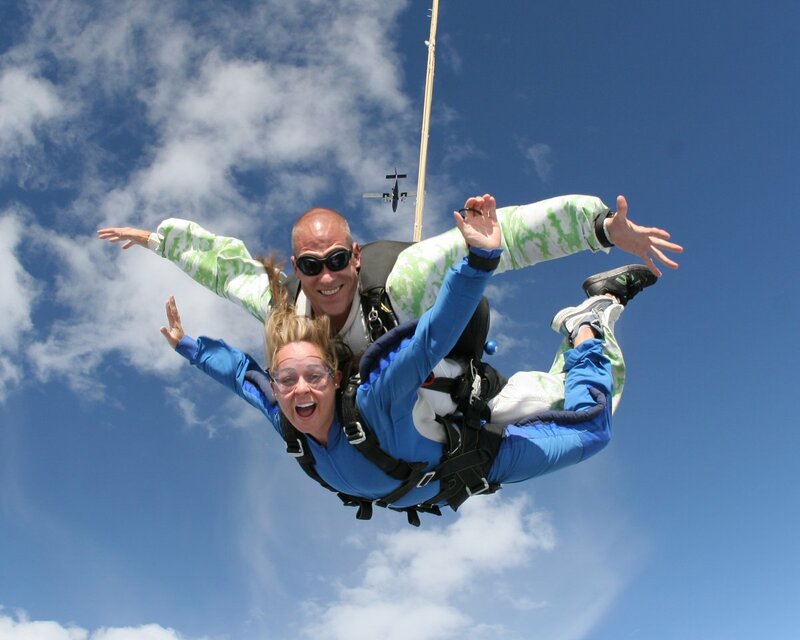 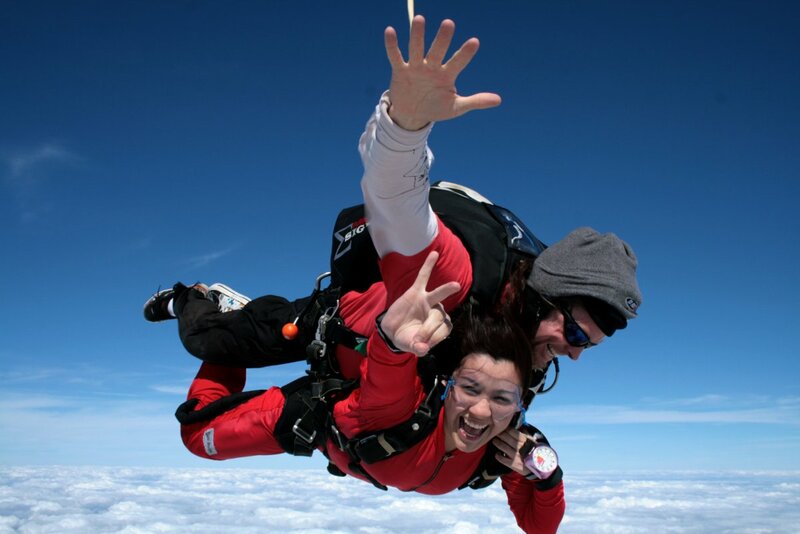 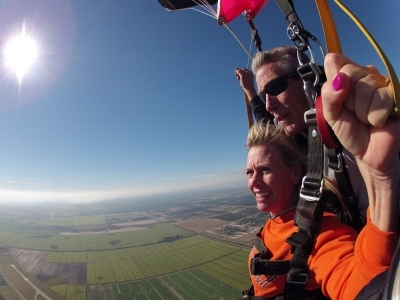 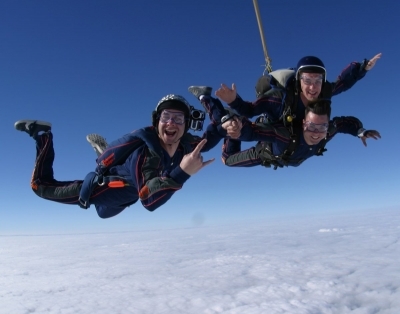 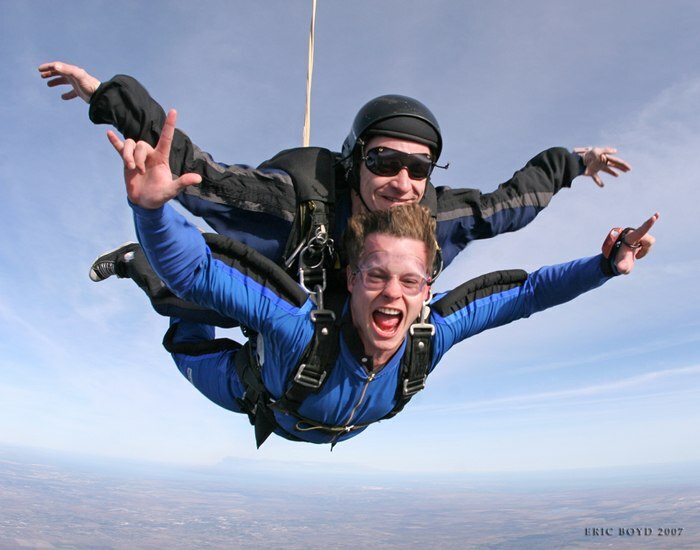 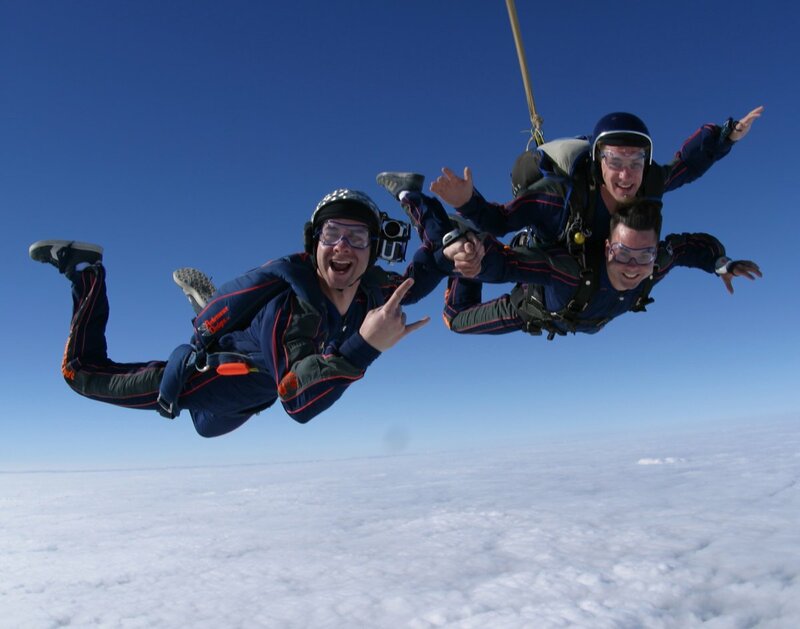 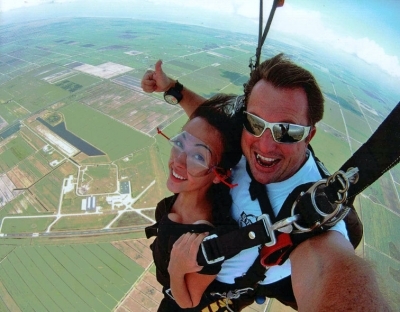 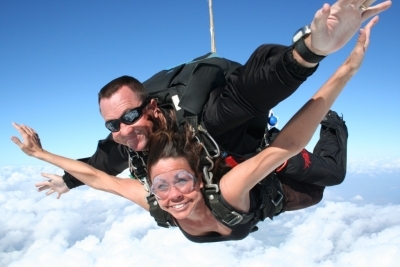 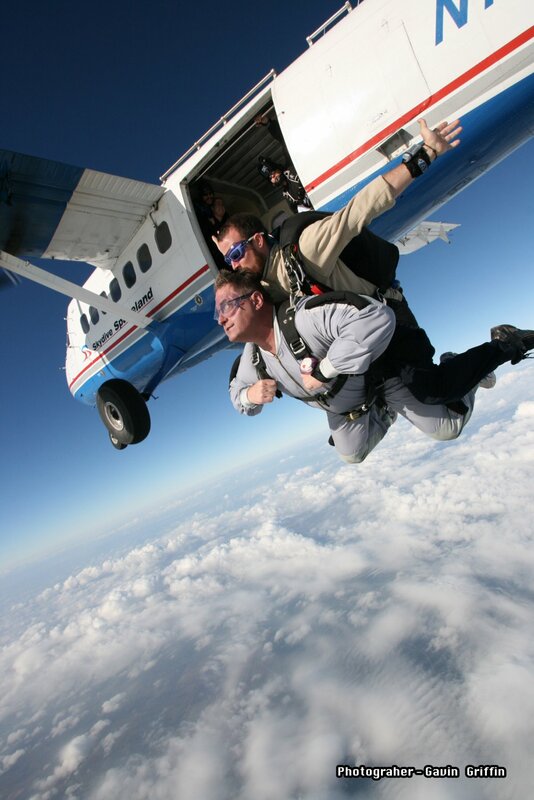 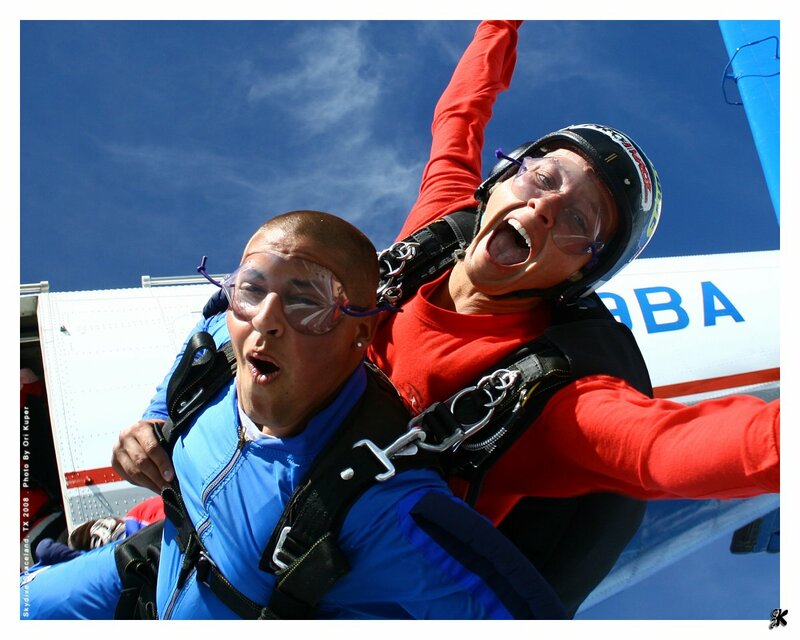 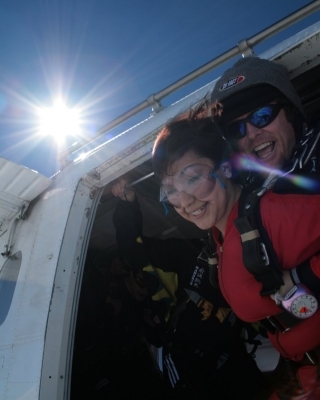 Don’t miss the opportunity to capture your tandem skydiving adventure forever! You never get a second chance to capture your first jump face on video! 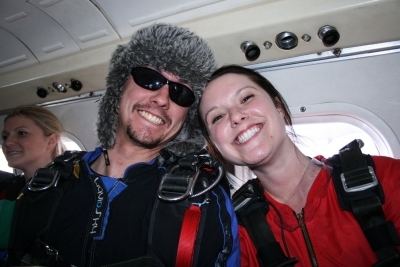 Our experienced videographers will document your skydive so you can relive your experience of a lifetime (and prove to your friends and family that you actually did it)! 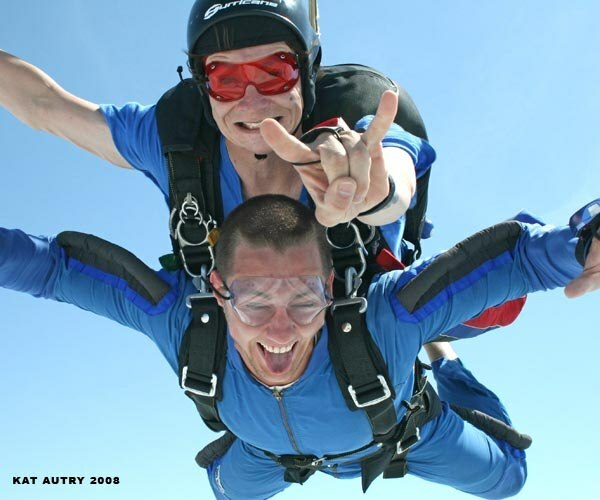 This 10-15 minute, action-packed DVD or Flash drive includes shots of you gearing up for your skydive, followed by an interview getting those final pre-thoughts about your skydive. Then it’s time to board the aircraft for a 15-minute plane ride to 14,000 feet. 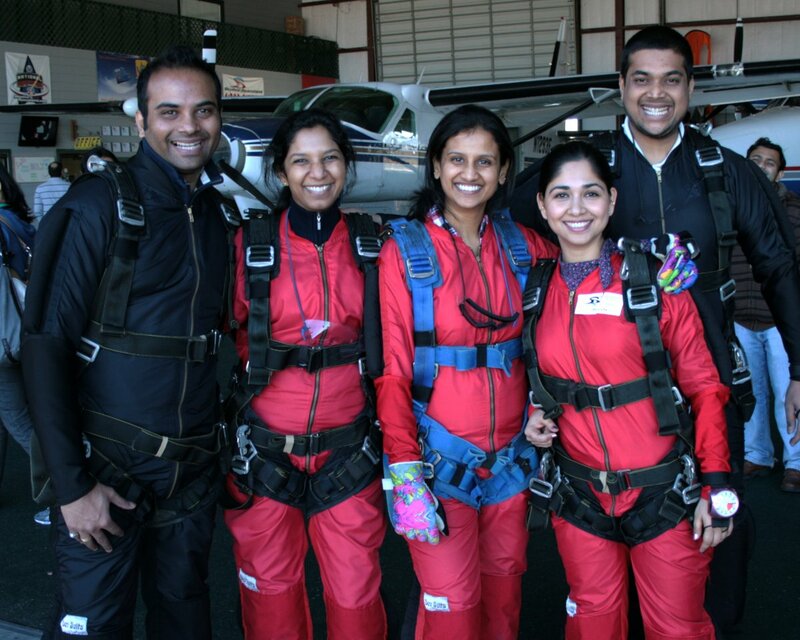 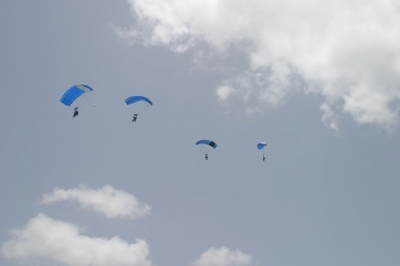 Just before exiting the aircraft, we get any last comments before you start your skydive. As your cameraman hangs outside the aircraft, he will capture your expression as you make the initial leap from the plane. 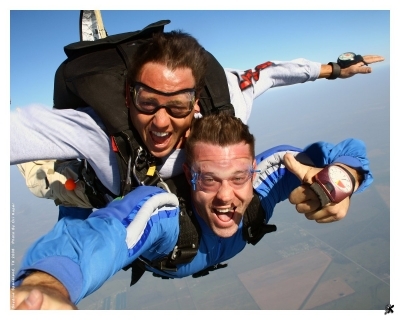 As you free fall at 120 miles per hour, your cameraman flies just a few feet away, capturing your exciting skydiving experience on digital video. 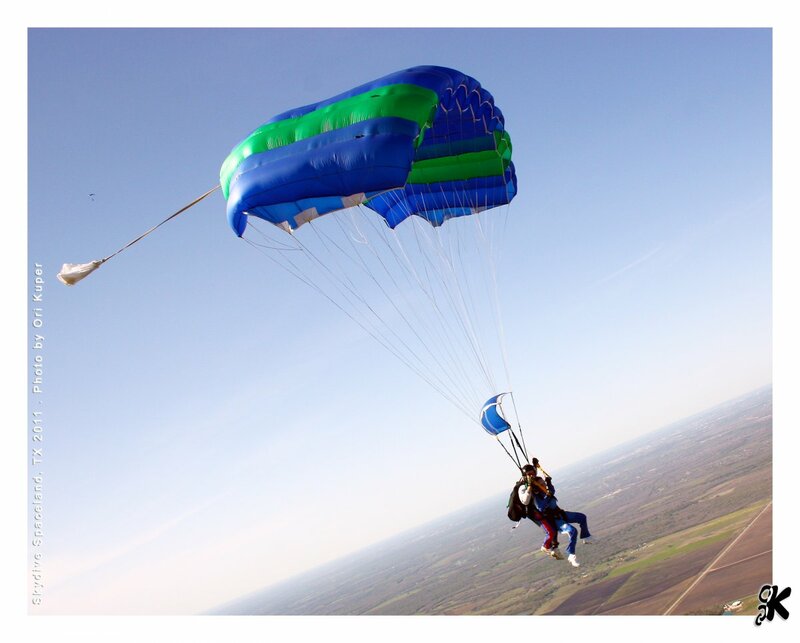 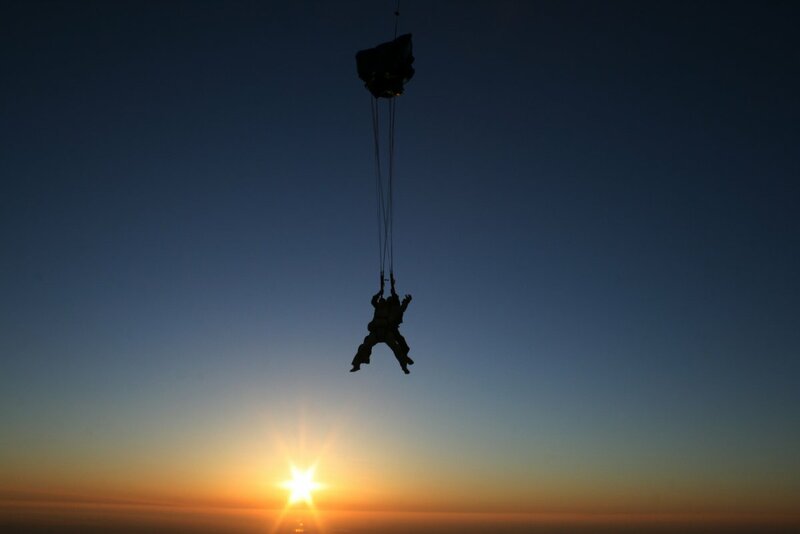 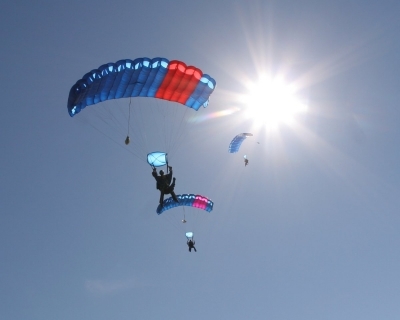 After filming your parachute deployment, the cameraman will race down to the landing area and film your landing. 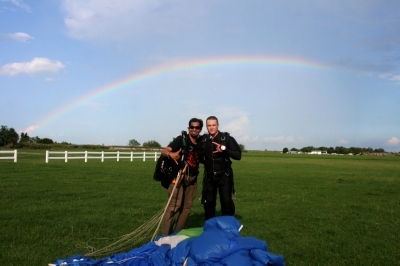 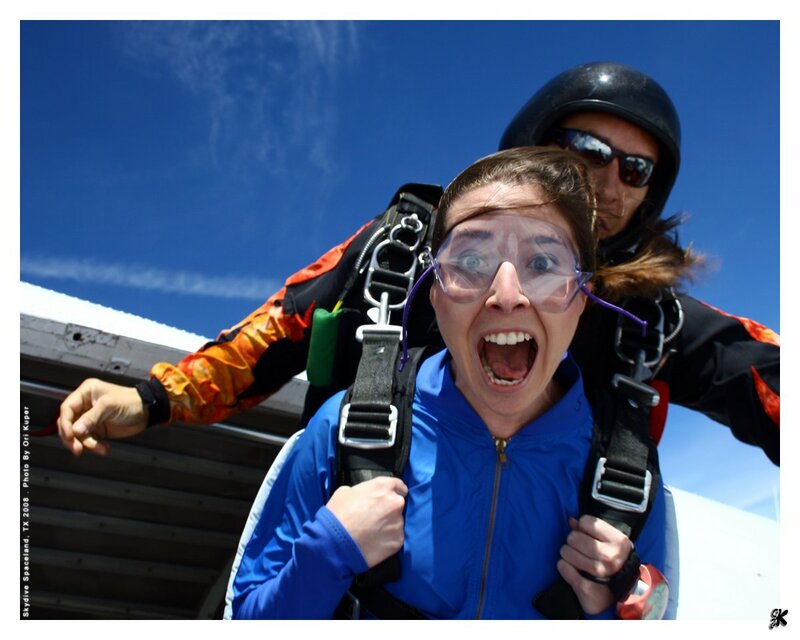 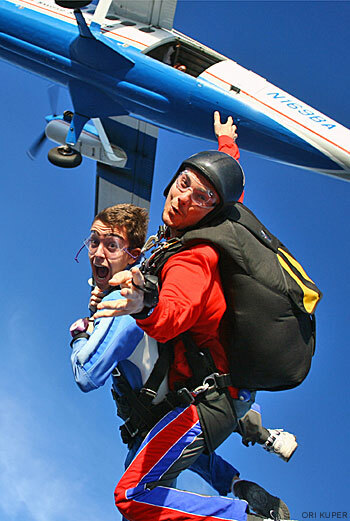 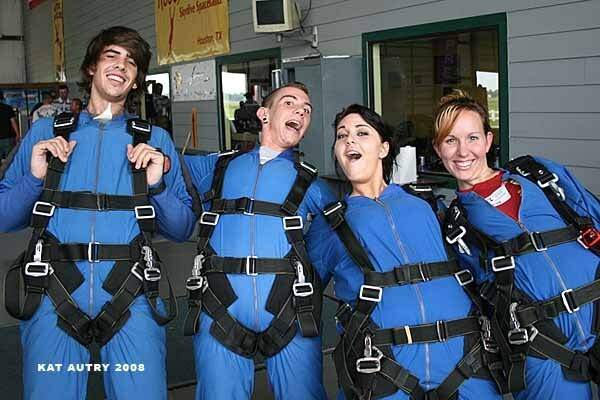 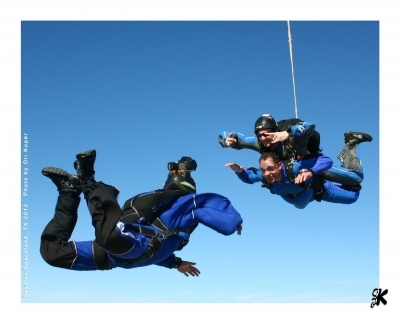 You’ll conclude your video with a final interview describing how much fun you had on your first skydive. This video is professionally edited with titles, special effects and the music genre of your choice. Shortly after your jump, you’ll walk away with your skydiving DVD and free still digital photos of you during this experience of a lifetime! 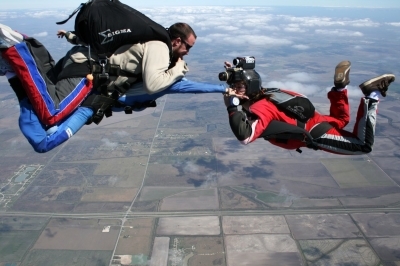 You get all of this personalized skydiving documentary only for a mere $139 per person. Get your video/photos on a Spaceland flash drive in High Resolution (1080p) for only $20 more! 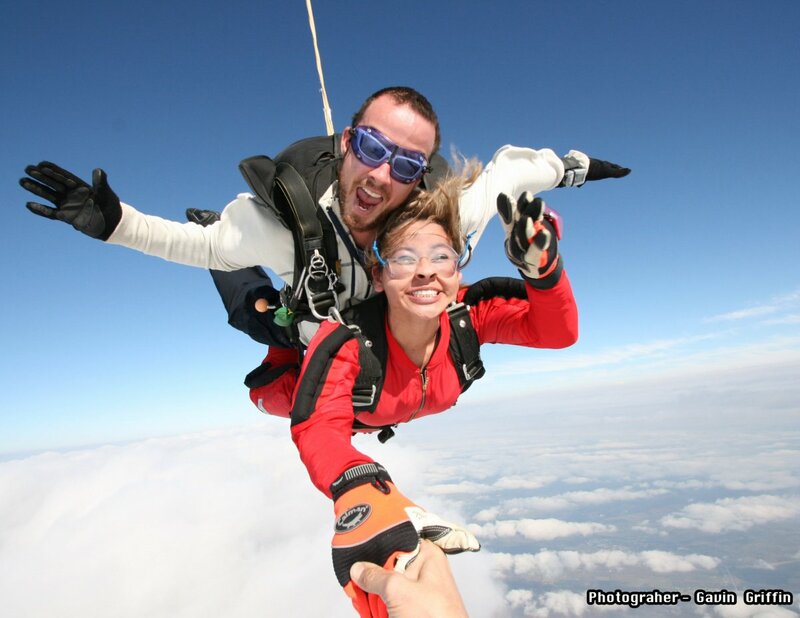 Great for sharing via email, Facebook, etc! 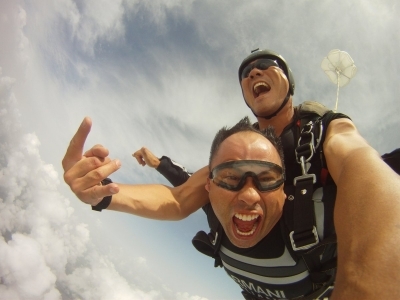 Check out some examples of our video and photo work below. 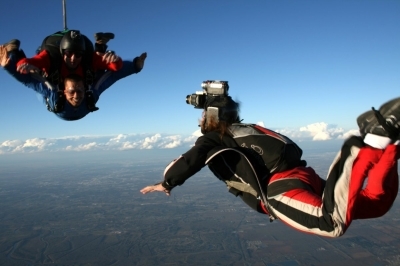 We are also happy to film anything else skydiving related; just ask us about rates. 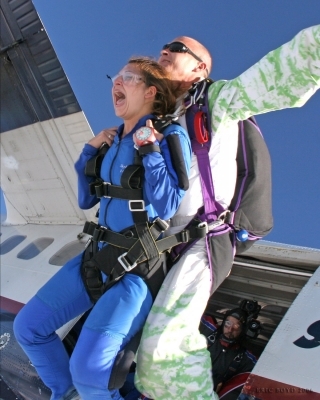 What's the first jump like? 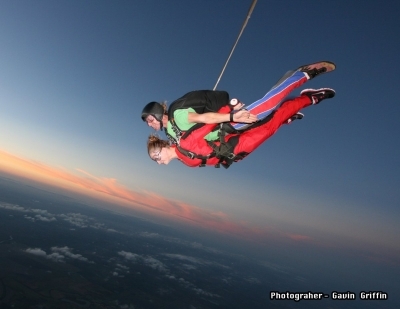 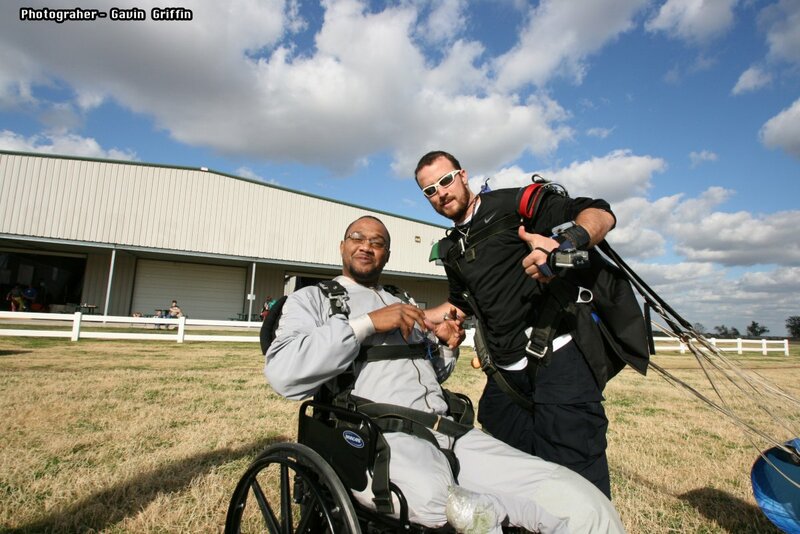 See these tandem skydiving photos to find out!